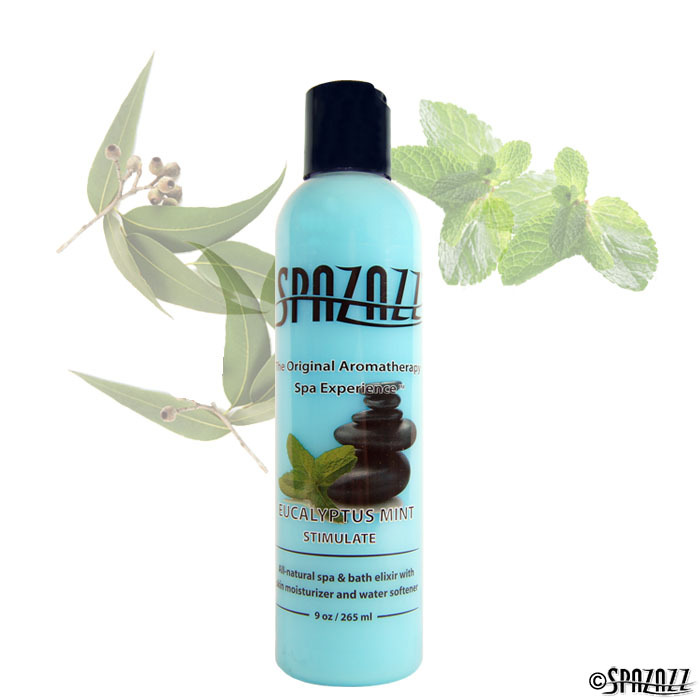 Eucalyptus Mint Spazazz Original Blend aromatherapy elixirs are an affordable indulgence that will enhance your hot tub experience every time you get in. The moisturizing botanicals increase skin hydration and pampers your skin while the long lasting aroma’s soothe your senses. 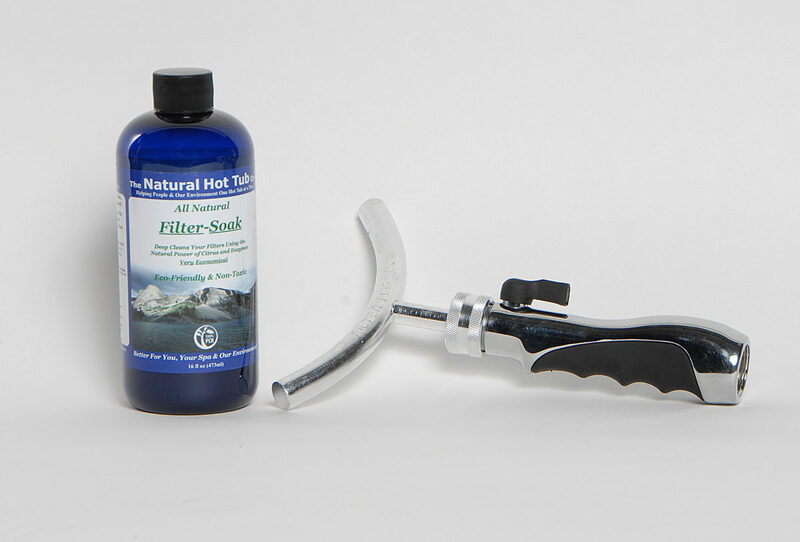 The elixirs are specially formulated for use in spas, hot tubs and bathtubs. 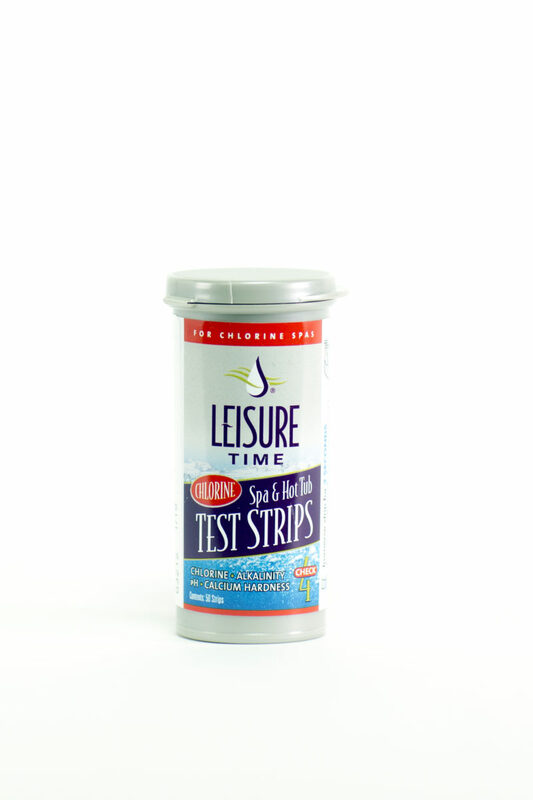 They won’t effect your hot tubs water in any adverse way or leave oily residue behind. Ingredients: Purified Water (Aqua), Dipropylene Glycol, Fragrance (Parfum), Styrene/PVP Copolymer, DMDM Hydantoin, Simethicone Acrylates/C10-30 Alkyl Acrylate Crosspolymer, Benzophenone-4, Natural Coloring … and a few trade secrets.